Catherine West has spent her entire life surrounded by beautiful things. And yet, despite all this, she still feels empty. After two broken engagements and boyfriends who wanted only her money, she is worried that she'll never have a family of her own. Then at an art opening Catherine meets William Stockton, a handsome banker who shares her impeccable taste and whose parents once moved in the same circles as Catherine's. But as William and Catherine grow closer, she begins to encounter strange signs. Her mother, now suffering lapses in memory, seems to hate William on sight. Is William lying about his past? And if so, is Catherine willing to sacrifice their beautiful life in order to find the truth? "Huntley is adept at deploying Catherine's good fortune as a fulcrum of suspense... Huntley deftly establishes Catherine's tendency to rationalize and repress... Lively... Huntley writes with wit and verve, excelling at economically hilarious descriptions... The book's strengths lie... in the zippy social satire, in the portrait of a dysfunctional family (Catherine's relationship with her sister turns out to be especially affecting) and, most of all, in Catherine's voice--strange and funny and engaging to the very end." "Here's a thriller we can sink into. 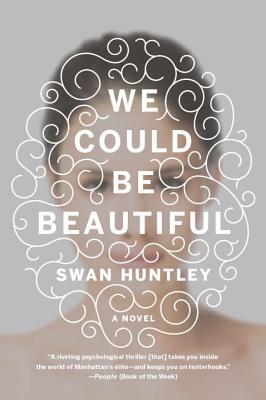 Deeply psychological and nuanced, Huntley's We Could Be Beautiful follows one wealthy Manhattan woman who has nearly everything. The one thing she lacks, however, is a relationship. That is, until her white knight comes along one evening. But it never quite works out that way, does it? (Not in a book like this, certainly.) Huntley's novel is a twisting, turning, secret-filled story that's worthy of your precious summer reading time."